Answers to Frequently Asked Questions about Albright I.L.L. Albright I.L.L. is the Gingrich Library's Web-based interlibrary loan service. Albright I.L.L. allows you to place and track requests for journal articles and books not available at the Gingrich Library, using a web browser or modern mobile device. Who can use Albright I.L.L.? Current students, faculty and staff at Albright College who are in good standing and have a valid Albright LionLink computer network/Moodle username and password can use Albright I.L.L. to request materials. Why use Albright I.L.L.? What happened to ILLiad@Albright? Since most of Albright's online databases support Albright I.L.L. direct ILL request via their sites, information from those databases can easily be imported into Albright I.L.L. .
You can get many of your photocopies more quickly through Electronic Delivery (requires latest free version of Adobe's Acrobat Reader which you can download at http://www.adobe.com). Any modern web browser (Firefox, Safari, Chrome)/mobile devices that can handle forms, tables, Cascading Style Sheets (CSS3) and HTML5. In order to use electronic delivery, you must also have Acrobat Reader. How do I get started using Albright I.L.L.? Logging into Albright I.L.L. User portal with your LionLink account information and make sure your information is correct/up-to-date, e.g., where you take classes, contact email phone and home address/college box number information. For those students taking ADP classes (Lancaster, Blue Bell, etc.) offsite please enter your current home address so items can be sent to you using the USPS. 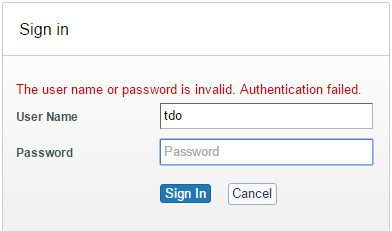 Why do I need a username and password to use Albright I.L.L.? Your username and password allows us to give you secure access to information about your interlibrary loan requests. You must use your Albright College LionLink Network/Moodle account username and password for the Albright I.L.L. system. However, no one but you will know your password, not even the library staff. The password you set is stored in an encrypted file. Your Albright I.L.L. userid and password is the same as your Albright LionLink (network)/Moodle userid and password, so if you ask for assistance, the password will be reset by the ITS department. Remember that any request to change one of these passwords changes all of them. Please bring your student ID if visiting the Help Desk. By phone, you may be asked to confirm certain identifying information. For security purposes, ITS staff cannot reset passwords using email. What if I get "The user name or password is invalid" or "User record not found" or "An unknown issue occured and you were not signed in" error? Your Albright I.L.L. userid and password is the same as your Albright LionLink (network)/Moodle userid and password. The password is case sensitive. Please make sure that your Albright LionLink account is valid/active by trying to log into our Moodle site. If you can login to the Moodle site then please contact the library ILL staff (contact info below) for assistance. Your Albright LionLink login is valid but you do not have an Albright I.L.L. account. Please log-in and create/activate your Albright I.L.L account here. Your Albright I.L.L. account may take up to 24 hours to be active. Is security a problem if I use a workstation in a public setting, like a public library? Access Albright I.L.L. only from your personal computer or an otherwise secure workstation. From time to time we purge older records of what you request from Albright I.L.L. . Our policy is to keep requests online for several years order to comply with record keeping requirements of the copyright law. The actual full text articles will disappear in 30 days. The only way to see the article after that time, if you did not download a copy, is to make a new request. Many libraries ship photocopies of articles to us in electronic format and through Albright I.L.L. we are able to deliver these articles in PDF format (Portable Document Format). How do I sign up for electronic delivery? Electronic delivery is enabled when you create your account. You do not need to sign up but you must opt-in to receive update from your library. How do I know if my computer can receive electronic articles? You will need PDF Reader (Adobe Acrobat Reader) installed and configured to work with your Web browser in order to view, download, and print these articles. If you can read the sample page, then your computer has the necessary software installed to work with your Web browser. However, if your computer tells you the file type is unknown and asks if you want to save the file to disk, then you need to install the PDF Reader software. How do I get Adobe Acrobat Reader? Adobe Acrobat Reader is available without charge from Adobe Systems, Inc. Click the "Get Adobe Reader" button to go directly to the download page. How do I get my articles when they arrive? Click the Interlibrary Loan Requests accordion (if not already selected) to displays all of your ILL requests. Click the Available to view (will open up a new window) to view the article and we highly recommended that you download the pdf file. The pdf file(s) is only available for 30 days OR 5 views (5 clicks) after they are posted. We recommend that you download anything of interest since your will need to resubmit the request if the article is needed after 30 days or viewed 5 times. How do I know if my articles have arrived? Albright I.L.L. sends you an e-mail notification for each item received. Albright I.L.L. will uses the email address that is listed in your account. It is very important that you keep this email address updated and that you check this email account regularly. How do I know which requests will be electronically delivered and which ones will not? ILLiad sends you an e-mail notification for each item received. That e-mail will include information about the delivery method. Why can't I get everything electronically? At present, the only items we can deliver to you electronically are those which we have received electronically scanned from another library or those being sent to ADP students studying at sites other than the Reading campus. The technology that we use sends a Session ID to be stored on your machine. You can refuse this cookie and still be able to use Albright I.L.L. without any problems. Check your browser’s help file for information on deleting cookies. Is there anything I cannot obtain through Albright I.L.L.? Albright I.L.L. should not be used to borrow textbooks or course materials since that is against the US ILL Code and the Pennsylvania ILL Code. We do not request dissertations. It is rare that we are able to receive the following: academic audiovisual materials, or selected international publications that are not published in English. What does the "Status" of my request mean? Submitted- The request has been submitted and is waiting for ILL staff to review, process and request the item from another library. In Transit - The requested item is in transit and is being routed to the borrower/Library. Due [date] - The requested item was received and checked out to you. It is important that ILL books be returned by the due date because the lending library may suspend our borrowing privileges if we return books late. Canceled - Library staff or patron canceled the request. Unable to provide - Library staff were unable to borrow the requested item. Available to view - The requested item is available to view/download. These items are only available for 30 days or 5 Views after they are posted. We recommend that you download anything of interest since your will need to resubmit the request if the article is needed after 30 days or 5 view/click. Complete - Once an article request has been delivered to you, or a book request has been returned to the lending library, the request goes to "Complete" status. If you have not yet received the item, it may be on its way to you via campus mail. When will I receive my request? Article requests are often received in three to five business days. Books not owned by Albright College take longer to arrive since they have to be shipped to that campus via U.S. Mail or UPS. If you need an item by a particular date, please contact a library staff member to make sure that we can meet your deadline. How do I cancel a request? The Cancel button appears if the status is Submitted. To cancel a request, click Cancel button. How do I resubmit a cancelled request? Click the Create Request and copy the information from a cancelled request and submit it as new request. How do I renew a checked-out book? Patrons can submit renewal requests on the Albright I.L.L. web pages for items that are at the status of Checked Out to Customer. If Lending library have allowed renewals for an item and if the item is within the allowable time range, the Renew button will appear. Please note: The book is not renewed (yet). You have only requested a renewal. Library staff will contact the lending library and request that the book be renewed. We will contact you when we find out if the renewal is approved or denied. You may only request a renewal 7 days or less before the due date. No renewals may be requested after the due date. How do I update my email address, phone number, or mail drop? How can I get assistance if I have questions? Interlibrary Loan hours are from 8:00 am to 8:00 pm Monday through Thursday and from 8:00 am to 4 pm on Friday. Please contact one of the staff below for immediate assistance.